By this point you know I like cute things but that I also like things that I wear that have meaning to me. I just don't like to throw anything on or wear anything but I like it to be special in some way. To me, that makes fashion fun. I recently saw a vintage nerd must have brooch in an Etsy shop called Flapperdoodle. It is run by an artist named Kate who also writes the Scathingly Brilliant blog. I love her artwork and when I saw this brooch I need that I had to have it! 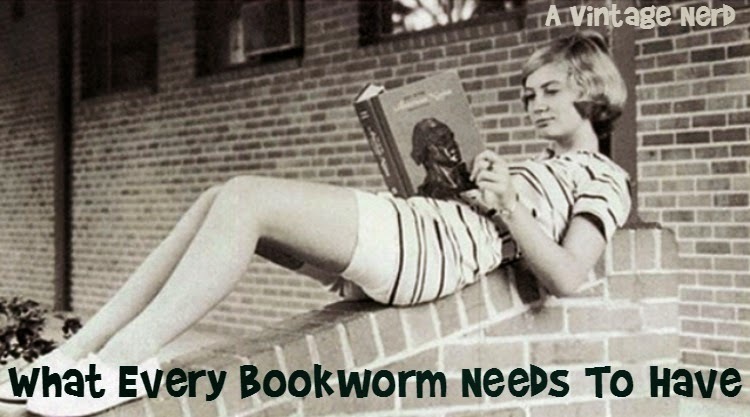 I mean what bookworm wouldn't want to? I decided to wear it on an outing to the bookstore with my family and paired it up with my Old Navy Cardigan, Gap Jeans, Moonglow bracelets, and Lucite earrings. 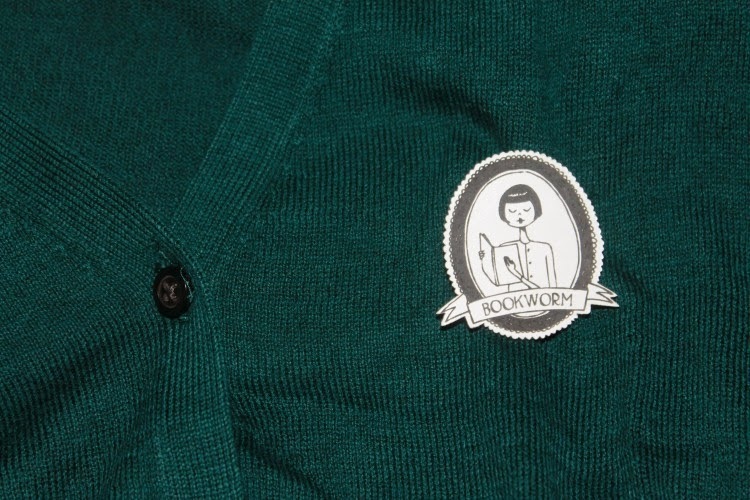 A comfy and casual outfit with a dash of bookworm love on it. I also scored some more brooches and I cannot wait to wear them out. Aren't they just super neat!!? Are there any handmade items that you scored on Etsy that you love? What were they? 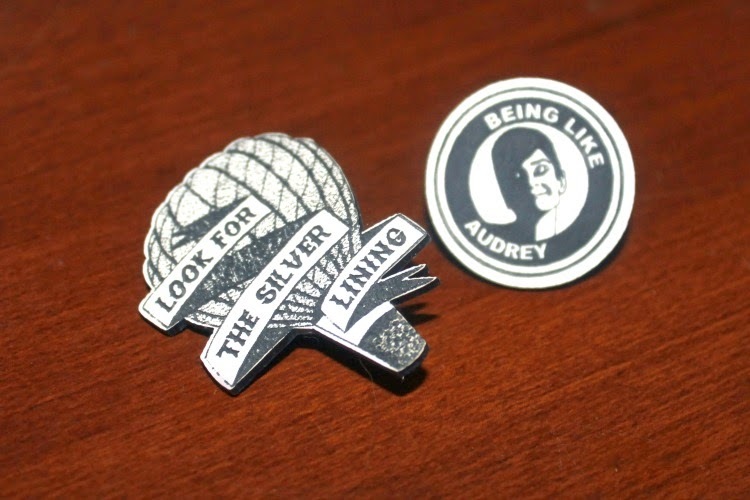 What do you think of these super cute brooches that I scored? I want all of those badges! They're so cute!